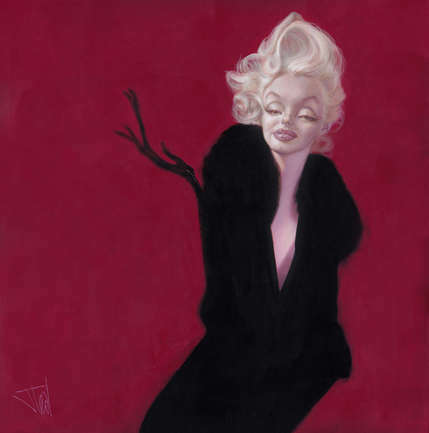 Elegent and aluring portrait of Marilyn Monroe by Jota. Pink against deep red. A beautiful work by Jota.